Product information "3.9mm x 16mm Self-Tapping Window Screws (25 Pack)"
Features Drill Point tip, so ideal for new fixings in uPVC windows. These high quality self-tapping screws are designed to create new strong fixings in PVCu windows and frames. With their drill point tip, these screws are ideal for fitting replacement friction hinges to sashes and frames when no hole exists and are recommended by manufacturers. 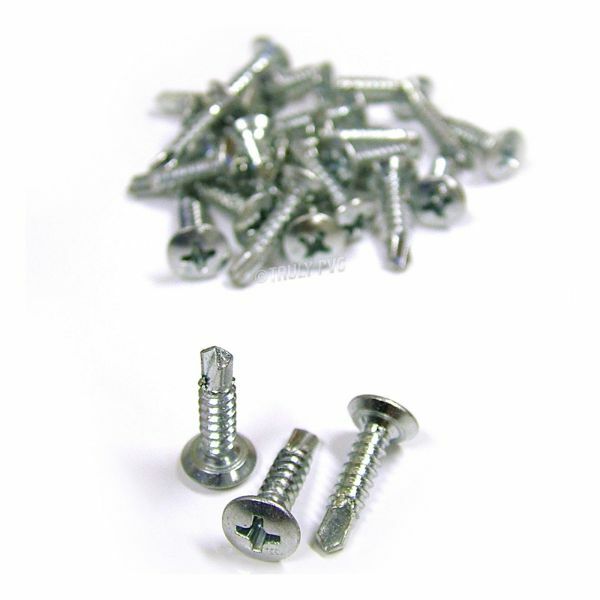 Related links to "3.9mm x 16mm Self-Tapping Window Screws (25 Pack)"
Customer review for "3.9mm x 16mm Self-Tapping Window Screws (25 Pack)"